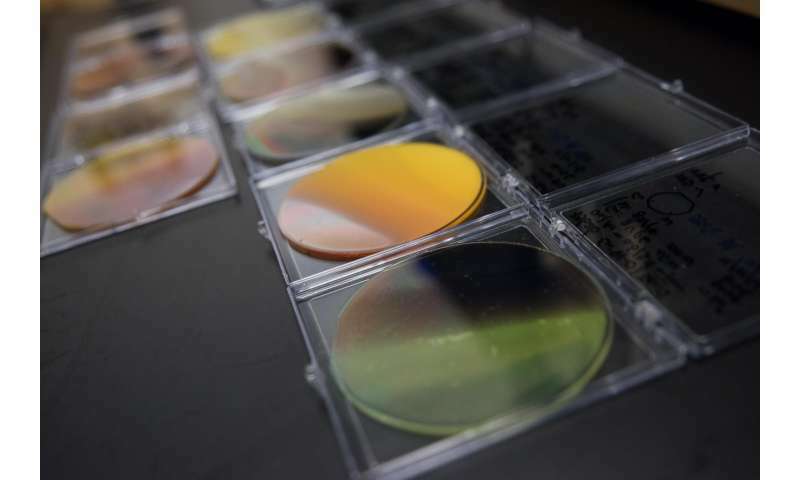 Scientists at the Department of Energy's Lawrence Berkeley National Laboratory (Berkeley Lab) and the California Institute of Technology (Caltech) have—in just two years—nearly doubled the number of materials known to have potential for use in solar fuels. They did so by developing a process that promises to speed the discovery of commercially viable generation of solar fuels that could replace coal, oil, and other fossil fuels. Solar fuels, a dream of clean-energy research, are created using only sunlight, water, and carbon dioxide. Researchers are exploring a range of possible target fuels, but one possibility is to produce hydrogen by splitting water. Over the past four decades, researchers identified only 16 of these "photoanode" materials. Now, using a new high-throughput method of identifying new materials, a team of researchers led by Caltech's John Gregoire and Berkeley Lab's Jeffrey Neaton, Kristin Persson, and Qimin Yan have found 12 promising new photoanodes. A paper about the method and the new photoanodes appears the week of March 6 in the online edition of the Proceedings of the National Academy of Sciences. The new method was developed through a partnership between the Joint Center for Artificial Photosynthesis (JCAP) and Berkeley Lab's Materials Project, using resources at the Molecular Foundry and the National Energy Research Scientific Computing Center (NERSC). JCAP is a DOE Energy Innovation Hub focused on developing a cost-effective method of turning sunlight, water, and carbon dioxide into fuel. It is led by Caltech with Berkeley Lab as a major partner. The Materials Project is a DOE program based at Berkeley Lab that aims to remove the guesswork from materials design in a variety of applications. 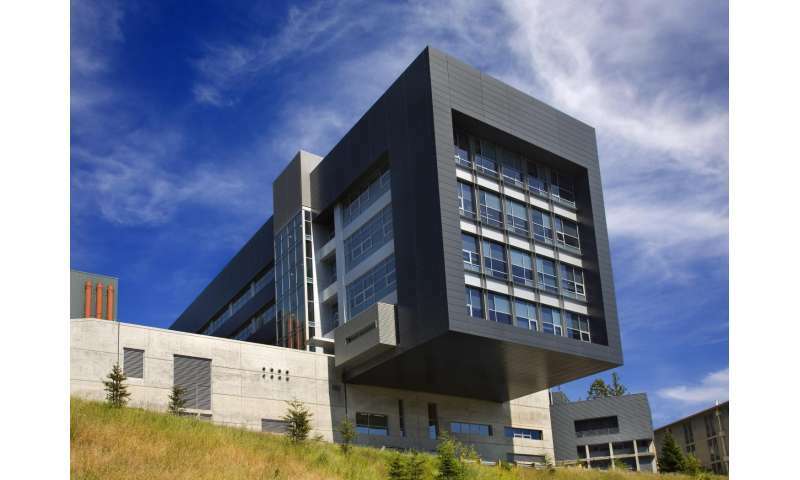 The Molecular Foundry and NERSC are both DOE Office of Science User Facilities located at Berkeley Lab. "What is particularly significant about this study, which combines experiment and theory, is that in addition to identifying several new compounds for solar fuel applications, we were also able to learn something new about the underlying electronic structure of the materials themselves," says Neaton, the director of the Molecular Foundry. Gregoire, JCAP coordinator for Photoelectrocatalysis and leader of the High Throughput Experimentation group, adds "It's exciting to find 12 new potential photoanodes for making solar fuels, but even more so to have a new materials discovery pipeline going forward." Previous materials discovery processes relied on cumbersome testing of individual compounds to assess their potential for use in specific applications. Instead, the scientists combined computational and experimental approaches by first mining a materials database for potentially useful compounds, and then rapidly test the most promising candidates using high-throughput experimentation. In the work described in the PNAS paper, they explored 174 metal vanadates—compounds containing the elements vanadium and oxygen along with one other element from the periodic table. The research reveals how different choices for this third element can produce materials with different properties, and reveals how to "tune" those properties to make a better photoanode. Computational resources at NERSC performed hundreds of comprehensive high-throughput theoretical calculations, and software and expertise at the Molecular Foundry enabled the scientists to analyze and understand the most promising photoanode materials candidates. Through analysis of nearly 200 compounds in the Materials Project database, the scientists found that compounds composed of vanadium, oxygen, and a third element possess a highly tunable electronic structure with band gaps in the visible light range that is uniquely favorable for water oxidation. "Importantly, we were able to explain the origin of their tunability, and identify several promising vanadate photoanode compounds," says Neaton. Added Gregoire, "The key advance made by the team was to combine the best capabilities enabled by theory and supercomputers with novel high throughput experiments to generate scientific knowledge at an unprecedented rate." But if you could turn water into dark matter you would have lots lots more power indeed. emits no noxious waste or greenhouse gases. cell used 10,450 watts and delivered 1,560,000 watts." Thats like a megawatt hand grenade. Or, if you could turn water into gold, you could have lots of gold! The SunCell is a fraud. Maybe but you wouldnt know because you dont know anything about it. Do something useful and speculate on HOW it might be a fraud. If its not too much work. Btw theres lots of gold in water. "Sea water contains about 0.1-2 mg/tonne of gold dissolved in water ( average 1 mg/tonne)." "Through analysis of nearly 200 compounds in the Materials Project database, the scientists found that compounds composed of vanadium, oxygen, and a third element possess a highly tunable electronic structure with band gaps in the visible light range that is uniquely favorable for water oxidation." Water is already oxidized hydrogen and that is not hard to accomplish at all. A spark will do just fine. Getting it to go the other way is the problem.